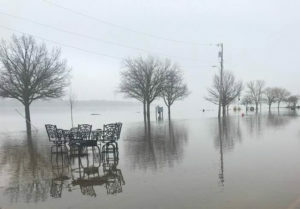 Flooded park in the Quad Cities. The Mississippi River crested at the Quad Cities on Sunday night a little over five feet above flood stage and it’s very slow in falling. 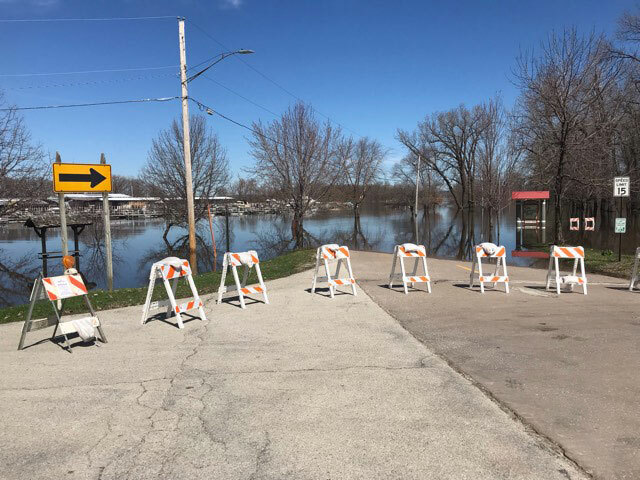 Parker is in charge of operations and training for the Coast Guard’s Marine Safety Detachment on Arsenal Island, located between Davenport, Iowa and Rock Island, Illinois. 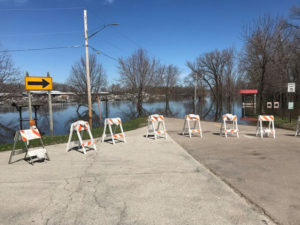 While several lives were lost in the recent flooding along the Missouri River, Parker says they’ve had no deaths and no serious injuries on the Mississippi. Sunset Park in Rock Island. including several hurricanes. After a couple of years in the Quad Cities, he says it’s “refreshing” to see how well everyone supports each other. For example, each year during the “Floatzilla” event, Parker coordinates more than 30 boats to promote safety. Local agencies also train together on the Mississippi River to be ready for search and rescue emergencies. The Mississippi crested at Lock and Dam 15 around 6 p.m. on Sunday at 20.6 feet. That’s two feet shy of the record set at the Quad Cities in 1993. Flood stage there is 15 feet.